Winter in the UK can see our coastline battered with storms and all manner of changeable weather. In stark contrast there can be milder days pock marked with spells of sunshine and fresh feeling calm days. Whatever type of stand up paddle board conditions float your boat you’ll find something suitable – you may just have to wait a while. If you’ve not hung up your paddle for a winter of hibernation then there are a few things to keep in mind if heading out for a float. However safe it looks from shore, winter is when thermometer readings drop significantly – both in the water and on land. Therefore it’s always wise to paddle with others. Strength in numbers, so the saying goes, is extremely apt for winter stand up paddle boarding. If anything should go awry then having a buddy (or even a few) will be most welcome if you should need help – whatever the conditions you’re paddling in. It goes without saying that weather and Mother Nature’s mood dictates what type of paddling opportunities we get day to day – and not just in winter either. Therefore having a basic understanding of weather and tides is essential for all ocean going paddlers. If you’re not aux fait then it’s worth taking time to browse the internet and school yourself. There’s a wealth of information at your fingertips, all you have to do is Google. One of the biggest guffs people make when heading off for float is failing to let people back at base know you’re going, how long you anticipate being and roughly what time you’re going to be back ashore. It’s easy to forget this simple rule in our busy lives as we rush to get to the beach. Be aware of your environment; a simple enough statement but one which is overlooked by many. If you’re out paddle surfing, for instance, then be aware of currents shifting you one way or another. Set up transits (fixed points on land) and keep an eye on them – this will let you know if you’re drifting. 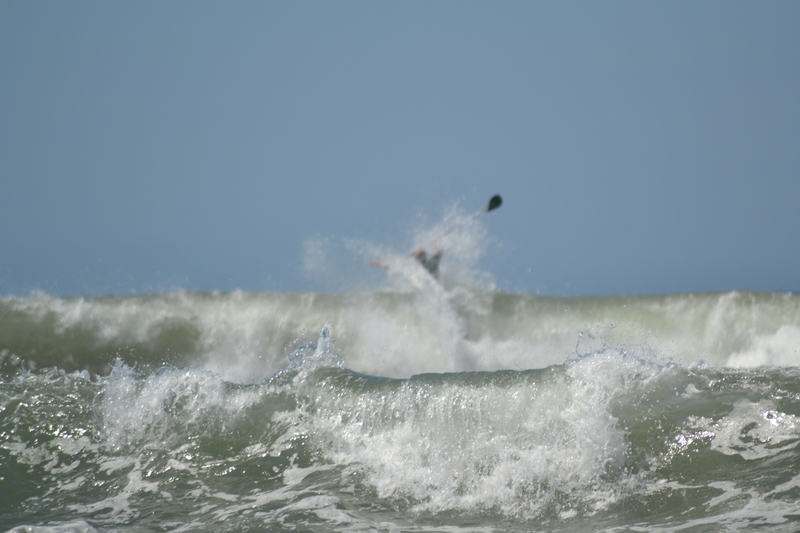 Also be aware of any potential hazards in the water such as rocks, rips or anything that can catch you off guard and cause your previously sublime SUP session to take a turn for the worse. In winter common sense prevails so listen to your instinct. There are countless tales of people getting into trouble after tackling conditions beyond their level of ability. ‘If in doubt, don’t go out.’ Even if the waves are pumping and it looks magazine quality, ask yourself honestly if you’re up for it and can handle what’s on offer. There’s no shame sitting it out and waiting for more accessible conditions. There’s nothing wrong with wanting to push your own personal stand up paddle boundaries but try to do so in a calculated manner. Obviously all bases can’t be covered, and what fun would it be if there wasn’t some degree of risk? But minimising this is the key to a happy winter of paddling. For more details about local conditions in Fatstick’s area drop us a line, we’re only too happy to offer advice. This entry was posted in paddle surfing, stand up paddle surfing, SUP and tagged stand up paddle boarding, stand up paddle surfing, SUP, surf, survival, waves, weather, winter. Bookmark the permalink.